UFO Drone by DBPOWER | Nerd Much? It’s no secret that drones have exploded in popularity over the past year. With the majority of drones becoming easier to fly and cheaper than they once were, more people are getting their hands on a drone. And while many might go on the hunt for the absolute best new tech or the smallest nano drone they can find, I like to look for the cool-looking drones. 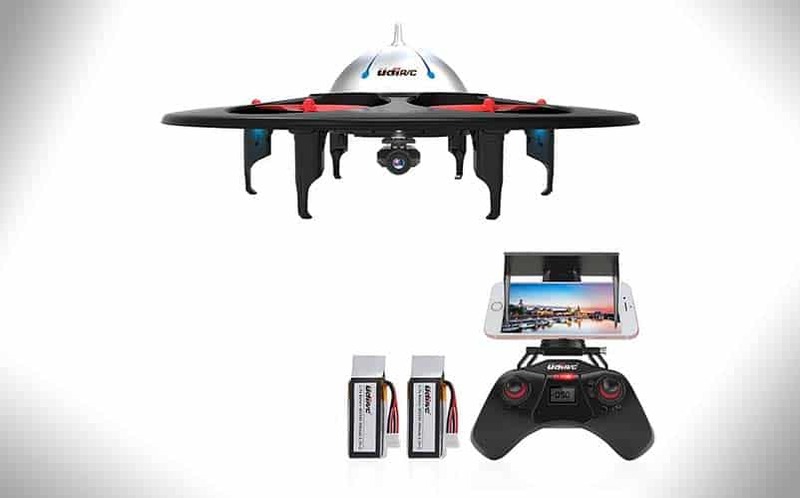 Introducing the DBPOWER UFO Drone, an UDI U845 WiFi capable FPV drone that’s designed to look like an alien spacecraft. But it’s not JUST about how cool it looks, as it comes packed with tons of great features that are useful for a drone its size. It connects to your iOS or Android phone via WiFi Real-time video transmission so that you are getting a first-person view of your flight. It uses a 4CH 6 axis gyro, and it comes with two batteries that each last up to 9 minutes per flight. DBPOWER’s drone also has a One Key Return features, which is unusual for a hexacopter or quad in its price range. The UFO Drone not only looks great, but it’s tough and lightweight as well. What’s more, it comes in at a low-enough pricepoint so that you don’t have to worry too much about breaking it.